It began with a casual chat over dinner, and it became one of the biggest motor sporting stories of recent times. 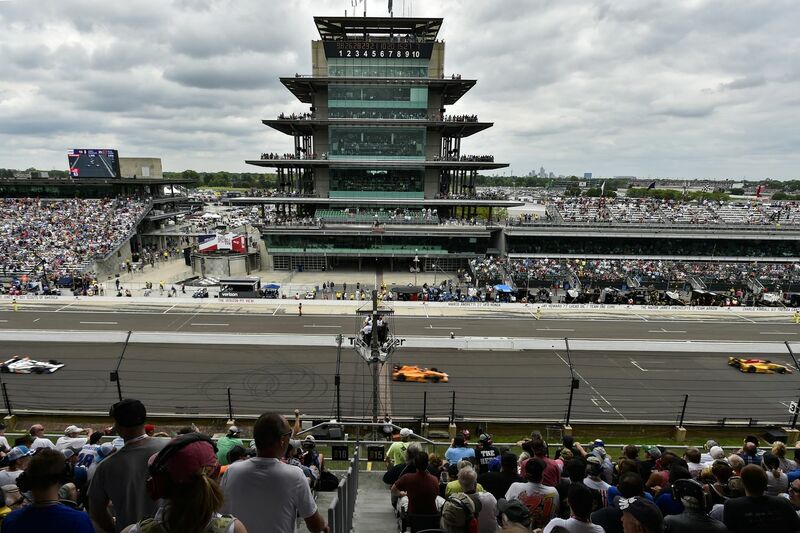 Fernando Alonso’s 2017 Indianapolis 500 adventure may have ended with a frustrating retirement – the result of an engine failure – but it captured the imagination of fans around the world. So how did it all start? 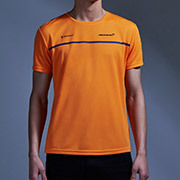 Frustrated by disappointment in F1, and resigned to the fact that at best he would be only chasing positions in the lower reaches of the top 10, Fernando simply wanted a new challenge. Having won the World Championship and the Monaco Grand Prix, he had an ambition to repeat the still-unique achievement of Graham Hill by adding to his victory at Monaco with wins at Indianapolis and Le Mans – inarguably the three biggest motor races in the world. “I think the past was all about the best drivers in the world with the best cars in the world and the best races in the world,” he explained at the Bahrain GP in April last year, shortly after the Indy project was announced. “Then it became more and more professional, the sport, and everyone was dedicated or fully committed to only one series, and I think that changed over time. Fernando’s desire to compete in other fields was a throwback to a golden era when the likes of Stirling Moss or Jim Clark would race different cars each weekend. The latter even missed the 1965 Monaco GP – a year when he was challenging for the World Championship – to join Lotus boss Colin Chapman’s pursuit of the Indy 500 crown. That sort of versatility faded over the decades as the F1 season became busier, teams demanded 100 per cent commitment from their drivers, and mixing and matching manufacturers, sponsors or tyre suppliers became harder. Nico Hulkenberg’s successful foray to Le Mans with Porsche in 2015, made with the full support of his then F1 team boss Vijay Mallya, was a rare modern exception. Fernando, who at one stage had hoped to drive the very same Porsche himself, watched with some interest. Hulkenberg didn’t compromise his Force India season in any way, either with the event itself or his preparation. What made Fernando’s Indy effort so remarkable was that McLaren and Honda agreed that he could skip the Monaco GP, the most prestigious race of the season. It was this decision that stunned the motor sporting world. 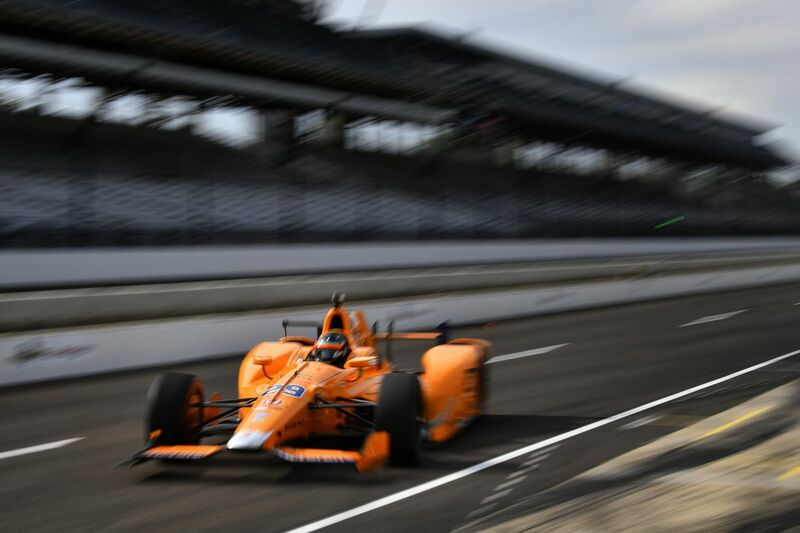 It obviously didn’t hurt that Zak Brown, McLaren’s American executive director, had worked extensively in NASCAR, and had an appreciation of the bigger motor sporting picture. He could see the potential – both in terms of PR and in keeping Fernando fully engaged by allowing him to take up this unusual challenge. “It was a conversation at dinner in Australia where we were sharing our ambitions for the future,” Fernando explained. “Me as a driver, of my karting school and different things, different projects that I’m in. And as a driver to win something else other than F1, that we succeeded to win a few things in, was attractive. Zak had already conjured up McLaren’s past by painting the 2017 F1 car orange, and here was a chance to hark back to the company’s Indy 500 heritage, which included victories for Johnny Rutherford in 1974 and 1976. For a company keen to sell both its road cars and its technological expertise in the USA, the appeal was obvious. “It came together very quickly,” Zak explained. “My boss, or bosses, are the executive committee, which is run by Sheikh Mohammed and Mansour Ojjeh, and they are a real driving force and motivational individuals who are really pushing us to do new and exciting things. “And when this opportunity came along it really started off with me and Fernando kind of joking around about it. I was actually kind of serious, but I wasn’t sure if he would be. He kind of flirted back. “We then had a breakfast with Honda, and he told them of his desire to race at Indianapolis and ultimately try to win the triple crown. At that point I could tell he was serious about it, but I didn’t think 2017 was the timeline we were talking about. “Then we spoke after Australia, and he asked for a dinner Friday in China and I said, ‘Hey, about that Indy thing,’ and he said ‘that’s exactly why I want to do dinner and discuss.’ At that point I knew it was serious, so I got on the phone to the chief exec of IndyCar to see if it was possible. With Honda’s help Zak secured a seat for Fernando in Michael Andretti’s multi-car team, which had won Indy four times, including two of the previous three events, with Ryan Hunter-Reay in 2014, and rookie Alexander Rossi in 2016. Fernando thus knew that he could go to America with a genuine chance of winning the race. 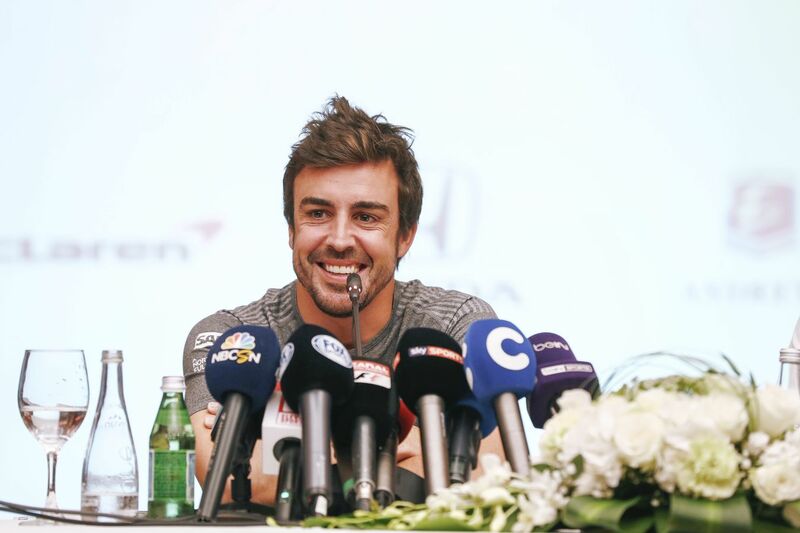 Zak allowed himself a wry smile on Wednesday April 12th, as members of the F1 circus began to arrive in Bahrain. That day the announcement of the programme sent the world of motor sport social media into meltdown, with huge reaction on both sides of the Atlantic. The vast majority of it was positive, as fans and insiders alike realised what a cool story this was. A few days later the team received another major PR boost when it confirmed that Jenson Button would return from retirement to drive Fernando’s car in Monaco. Having such a high-profile reserve on standby was one of the things that fell neatly into place. There were only a few naysayers. Some critics saw Fernando’s eagerness to miss Monaco as some kind of snub to McLaren and Honda. In fact the project was a huge PR coup for both parties, not to mention Indianapolis, the IndyCar series, and the Andretti team. Brown’s marketing instincts were proven to be right once again, and he could see only upsides. 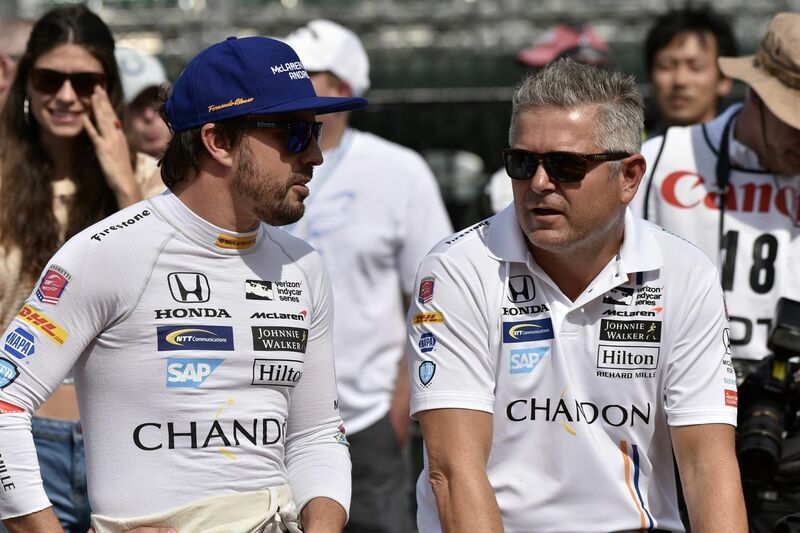 Former 500 winner Gil de Ferran was engaged as a consultant and advisor, while veteran McLaren engineer Neil Oatley was seconded to the project to liaise with the Andretti guys, and generally represent the team’s interests. And two-time winner Rutherford returned to the McLaren camp as an ambassador for the project. Significantly, the Dallara was painted in McLaren’s traditional papaya orange, as seen on Rutherford’s winning cars in 1974 and ‘76. It also carried the logos of current F1 sponsors, including Chandon, SAP, Hilton and Richard Mille – and for them this extra coverage was a huge bonus. Fernando landed himself with a hectic schedule. After the Bahrain GP he travelled to the States to watch the Alabama IndyCar race and visit the Andretti factory in Indianapolis for a seat fitting, before returning for the Russian GP. Then it was back to the USA for his first experience of the car at the Indianapolis Motor Speedway on May 3. The day would also form his rookie test. 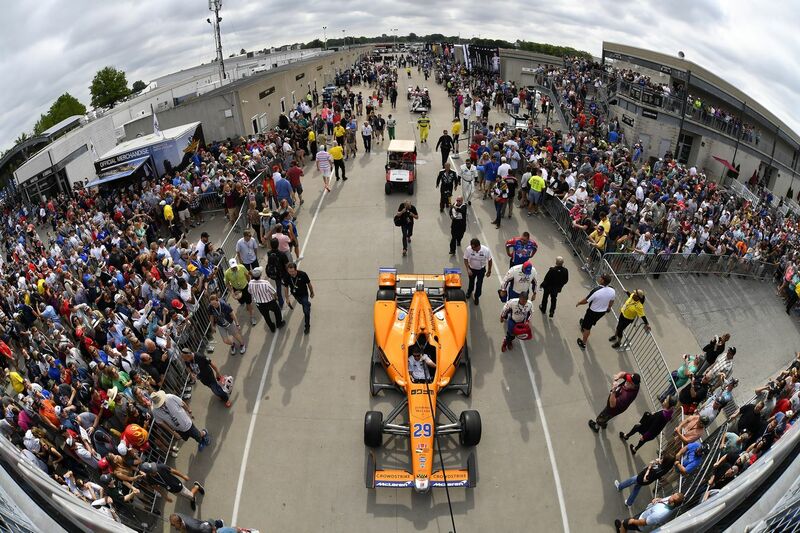 Streamed live on the web by IndyCar, Fernando’s oval debut attracted astonishing levels of interest, given that this was a single car running on its own. For the man at the centre of the action there was a steep learning curve to be climbed. “The cars, definitely they are different to drive,” he explained later. “Obviously if you develop your whole career in F1 in Europe, you come here, in oval racing, the car felt not natural to drive because the car turns left by itself. That's a little bit strange when you approach Turn One on the first lap! “But I had a good preparation in the simulator, a lot of information from the team in the last couple of weeks. He acquitted himself with ease, and impressed by the way he smoothly and accurately went through the gradually increasing speeds of the rookie test, eventually getting up to 222mph without much trouble. He helped himself by applying a little F1 know-how. It was typical of his meticulous approach to this new challenge as he tried to learn everything he could while also calling on his vast experience. “From an engineering point of view it looks like a simple track layout, but every corner is subtly different,” said Neil Oatley. “The complexity of set-up is quite interesting to see. He is a tremendously competitive and committed individual. After the one-day test he had to return to Europe for his home event in Spain, where he qualified a surprise seventh. The race saw him finish a frustrated 12th, and that evening he headed straight back to Indianapolis, where action commenced on the Monday. He was one of four rookies in the 2017 entry, along with Ed Jones, Jack Harvey and Zac Veach. 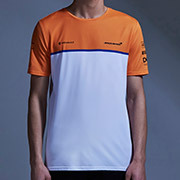 The five days of practice ran without major dramas, and crucially for the first time he gained experience of running in traffic, mostly with his “friendly” team mates. “I'm happy where I am now,” he explained that week. “After the test at the beginning of May, obviously it was so different to drive the car, so different the place as well. You know, I felt happy, but definitely not comfortable. He was keen to learn from his more experienced team mates: “I listen to these guys every day about what they feel, what they test, and I try to replicate the following day, try to have the same feelings of what they have. “Obviously the first couple of days in the car, all the set-up changes I did, were difficult for me because I was not able to feel the car. Now I start to do so, so I'm happy. The learning laps yesterday in traffic were very useful. I'm on the simulator in the mornings, on the car here in the afternoons. So plenty of time, plenty of running. There was little doubt that Fernando was enjoying the whole experience. 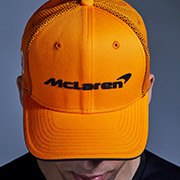 Come the weekend of May 20-21st Fernando was thrust into qualifying, and the tricky challenge of running four perfect consecutive laps, with the average to count. 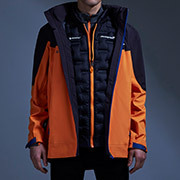 Crucially he made it into the “Fast Nine” on the Saturday, in a solid seventh place, ensuring that he was in the hunt for a spot in the first three rows on Sunday. He was the only rookie to make it through to that stage. 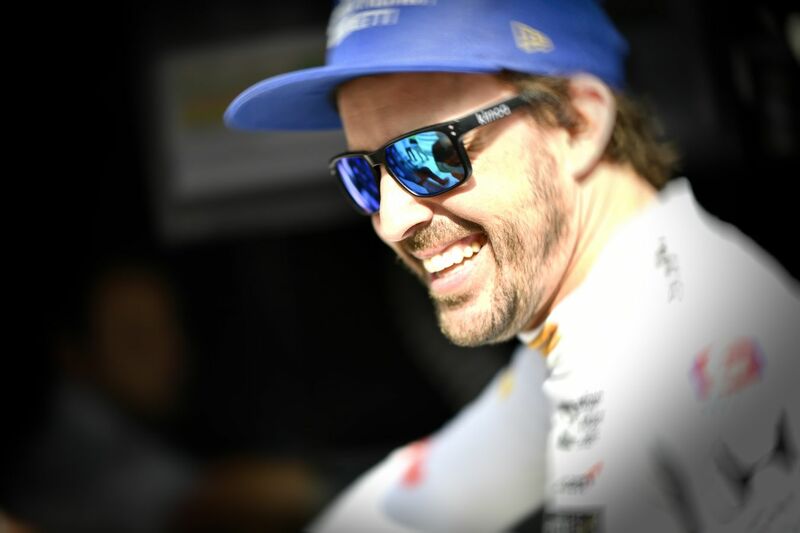 After issues early on Sunday a last -minute engine change before qualifying left the Andretti team scrambling to get the car ready in time, but they made it, and Fernando set out for his critical four-lap qualifying run. Now the pressure was really on. He suffered an “overboost” on his second lap, which forced him to downshift, and his first reaction was that he’d lost so much speed that he might as well abort the run. Instead he kept going. In fact Fernando’s four-lap average was 231.300mph. He was the quickest of the Fast Nine runners up to that point, and thus temporarily he was on pole. Subsequently four drivers went quicker, and he was left with a still-impressive fifth place on the grid, immediately behind Andretti team mates Rossi and Sato. Pole went to Scott Dixon at 232.164mph.